Domestic appliances like refrigerators not only consume power, but also leave mixed gases like chlorofluorocarbons. These will make a hole in ozone layer harm the environment. Now a small comfortable tool called e-cube is getting famous in foreign countries. This is kept in a fridge. This is made up of wax. This is kept near to the fridge temperature sensor. With this fridge not consumes less power, but also releases less green gases. Generally sensor will take the air temperature and works according to that. But generally the items like milk, curd, fruits will be cooler than the air it has. But the sensor will take the air temperature and tries to make it cool. 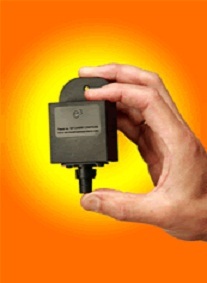 But as the e-cube is fitted around the sensor, it reacts to the temperature of the items, not to the air temperature. The scientists are estimating that nearly 20 lakh tones of poisonous gases production can be reduce with the usage of e-cube in England.